Who’s spending and how will it benefit our community? Wireless is a vital element in every-day personal and corporate communications. It allows individuals to be untethered and free to collaborate and share information anywhere at anytime. Wireless coverage is desired by business and residential tenants and is becoming a higher criteria for selecting new facilities and homes. Public Safety agencies also rely heavily on radio communications and new Fire Codes mandate adequate indoor radio coverage for First Responders such as Police and Fire Departments. Building Owners are required to ensure indoor Public Safety Radio coverage as a condition of occupancy and to install enhancement systems if needed to meet minimum requirements. Since the codes are relatively new, building owners often receive minimal guidance or support from the enforcing agency. As a result, a large number of individual owners, with little to no radio expertise or an understanding of the local requirements, set out to get an enhancement system installed in their building. 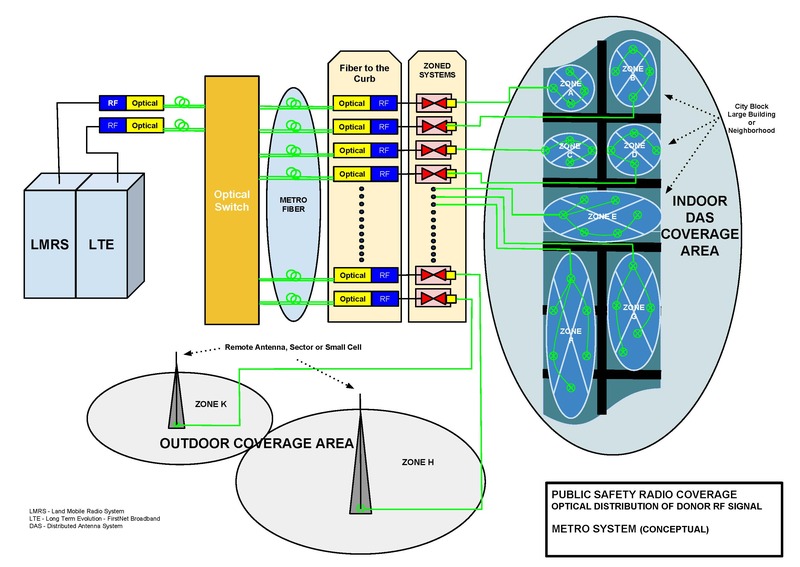 Public Safety Systems typically consist of a few radio sites that provide coverage throughout the jurisdiction. 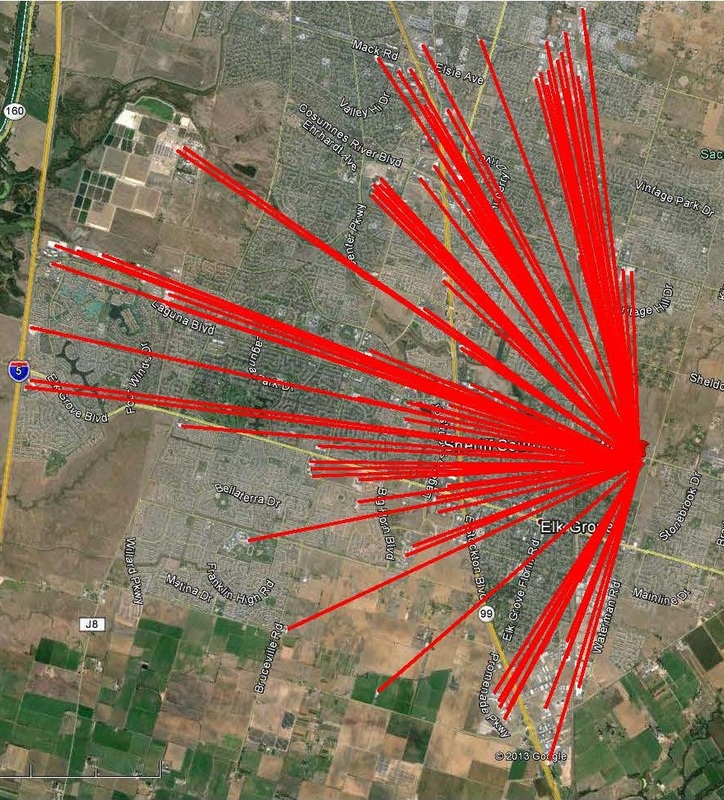 Business, commercial, and high-density residential areas will eventually have many individual systems pointing directly at a limited number of donor (macro) radio sites. Different agencies within the jurisdiction may operate on separate radio system in different frequency bands, further complicating requirements for the building owner. It doesn’t take a lot of imagination to see a train wreck coming around the corner if you don’t have tight control of all these individual systems. With costs in the range of $120K-200K for smaller buildings and much more for larger buildings, property owners may collectively spend more to augment Public Safety radio coverage than the government agencies are spending on infrastructure themselves. In the near future, the building owner, will also be required to modify their enhancement systems to address indoor coverage for P25 Phase 2 and LTE Broadband requirements. The Federal Government recently launched FirstNet to develop a national broadband network for Public Safety and have committed initial funding of $7B to the program. This certainly means additional equipment and potentially a major upgrade or replacement of current systems if future requirements are not addressed in the initial system design. Indoor coverage is recognized by everyone in the industry as a critical component in delivering wireless services to the end-user. 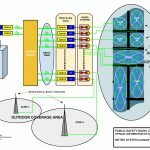 Imagine……buildings are now expected to behave like a perfect antenna capable of radiating and transmitting signals between 150MHz thru 2.7GHz and perhaps up-to 6GHz for WLAN systems, all without interfering with your neighbor or signals outside the building. 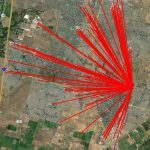 The technology is available, however, without planning it could cost taxpayers and individual building owners much more than it should. Public Safety Radio coverage is a consistent requirement for all buildings. The core goal should be to reduce the direct and long term costs of the building owner while providing the best radio coverage possible for the people that protect us from harm. Building Owners, Developers and Public Safety should take a proactive approach to the “grand design” and share the responsibility and certainly collaborate to align interests in developing community based infrastructure. The building-by-building approach may accommodate start-up requirements, however, developing multi-user systems to support neighborhoods and fiber optic systems that support metro and larger applications should seriously be considered. Taking a system approach should reduce initial and life-cycle costs as well as provide improved control of the radio system. Government funding (taxpayer dollars) and direct investment by building owners are currently the dominant financial sources for Public Safety Radio infrastructure. With so much at stake, building owners definitely play a major role in shaping how radio coverage can be accomplished in their community. Better control of the Public Safety coverage and capacity requirements. Radio coverage needs to be everywhere, but it is only used when a First Responder is on-site. Reduced risk of RF Interference. You could control where and when you want indoor coverage – perhaps interfaced to Public Safety Computer Aided Dispatch (CAD) systems. Significant improvement in the reliability of indoor systems and their ability to survive catastrophic events. Route and equipment redundancy can be achieved very economically through current fiber network technologies. Future proofing for in-building systems – allows public safety to modify their systems without impacting building infrastructure. Better network diagnostics rather than discrete alarm contacts monitored by a variety of alarm companies. Naturally fiber availability is a required asset for this approach. Your Utility company, surprisingly enough, should be viewed as a preferred source of Dark Fiber and a valuable partner for Public Safety applications. They own some pretty extensive fiber systems that are constructed to the same standards as public safety systems. They also have a public safety mission and in emergencies commonly coordinate safety and emergency restoration activities with police and fire departments. Utilities also have Right of Way and a Point-of-Presence in every building. They certainly aren’t the only source for Dark Fiber. Other sources such as Metro Fiber and Telephone Companies are also available in most cities. Reliability, restoration intervals, priority of service and cost will be the critical elements facing any fiber supplier. Unfortunately there isn’t a single design to meet every requirement and each community must resolve public safety coverage issues based on the assets and types of radio systems in use locally. The important thing in the end, is that the First Responder has the ability to call for help, report on the situation, and coordinate response activities in extreme situations. Tenant satisfaction with other wireless systems will ultimately come from being able to seamlessly use their personal or corporate wireless devices to securely access the internet and their phone and messaging services. Saving Money and Improving Safety are strong enough incentives to knock down most obstacles. It’s never too late for everyone to pitch in and work towards a common goal, especially one that provides a win-win opportunity for the community.